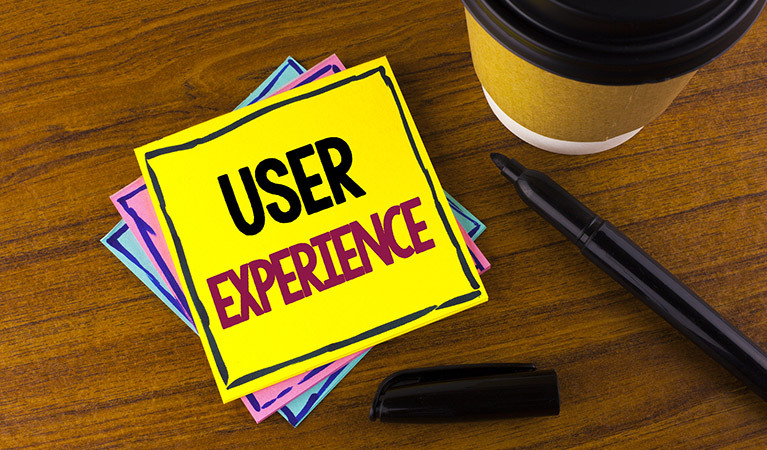 UX is a crucial component of modern web design, and users’ expectations are constantly shifting. Though we cannot see into the future, changes made throughout the last decade indicate that adjusting for user needs has never been more crucial. To get ahead in the ever-changing mobile app sphere, designers have to be proactive at all times. Let the following 6 UX trends of 2019 be your guide to help prep for both the present and the future of UX design. Linear Design. Linear design is a structured journey containing an established layout for beginning-middle-end points. It enables users to do one action at a time at each point in their journey. The consistent flow helps viewers discern how much time is necessary to complete the task. Anticipatory Design. An anticipatory design attempts to recognize a user’s needs to swiftly and efficiently accommodate them. It reduces the chances of friction that make it difficult for users to complete their intentions. Progressive Disclosure. If your website or application contains a lot of information, you might want to adopt a progressive disclosure technique to enhance user experience. Progressive disclosure makes information visible solely when users need it, which ensures viewers are not bombarded with information or distracted by content that is irrelevant to their goal. Context-Based Information. Displaying only the most relevant information specific to user context is instrumental in creating an optimal user experience. Properly organized and readily available content is key to making websites and mobile applications appealing to their expected users. Recent trends concentrate on eliminating unnecessary distractions and instead, shining the spotlight on what is truly relevant: content. Precise Visual Order. A well-ordered design facilitates and expedites a user’s ability to comprehend content. Powerful visual signals, such as using dissimilar colors for call-to-action links, are great means of guiding a user’s focus on specific interactive features and significant information. Operative Decluttering. Eliminating irrelevant and otherwise useless details helps magnify important information, creating a more concentrated experience. Increasing the amount of space between content grants it room to breathe and dramatically enhances a user’s experience. Personalization is a technique embedded within the strategy of time-saving designs. Understanding the importance of the shift from creating generic experiences to individually targeted experiences is an aspect of UX that deserves extra emphasis. As businesses look for new means of crafting individualized brand experiences, the effort to understand the wants and needs of users on a deeper level continues to develop. Basing Content on User Location. Because many people use their digital devices while on the road, websites and applications should use the device’s area data to present content related to the user’s geographical location. As a result, the information presented is personalized to the environment surrounding each user. Specific User Interface. A major goal of personalization will be adjusting the layout of a website or application based on the individual needs of a certain user. Following how a user interacts with a digital device and what issues they encounter, in conjunction with their specific data, is a goldmine of information. With it, applications and websites will be able to decide how to adapt the site for the user. Due to the impact of technology such as touch and voice recognition on smartphones and other digital devices, people now expect to interact with digital products in the way they would typically interact with another human. This means designers should start striving to create websites and applications that offer a more human experience for users. Applications and websites can make identity verification easier by replacing conventional means of entry. As bio-metric technology becomes more available in the year 2019, it will be capable of recognizing a person’s identity based on particular characteristics. This will create an effortless authentication process for users. Instead of having to manage an assortment of passwords for different websites and applications, biometrics can verify users with facial or voice recognition or fingerprints. This is an advancement with the potential to bolster security for businesses and users. Designers should pay close attention to improvements in biometric authentication this year. Adjust for Portrait Frame. Since mobile phones are used in portrait orientation almost 100% of the time, all video content, and content, in general, should be adjusted for this frame. Adjust Video for Short Attention Spans. Modern means of displaying important information must be timely. With the use of formatting methods such as 360-degree videos and Facebook live, designers can present crucial information in a convenient manner. HD Images and Videos. Providing a full-screen experience is essential, but so is providing top-quality images and videos. The quality of the videos on your website or application will have a major influence on user experience, so ensure images and videos are not pixelated and appear in HD. As the hardware devices we use to access the web become more streamlined, so should the UX. The latest smartphones, tablets and even laptops are losing more and more buttons every generation. This progression has caused UX to go through one unique development: voice user interface (VUI). VUIs have become integrated in most major technology, such as products from Google, Amazon, Apple, and Microsoft. A large percentage of web searches are done by voice, with the number projected to rise in 2019. With your users almost definitely using tech from one of these innovative VUI pioneers, it might be a good idea to see how your website can benefit from adapting.